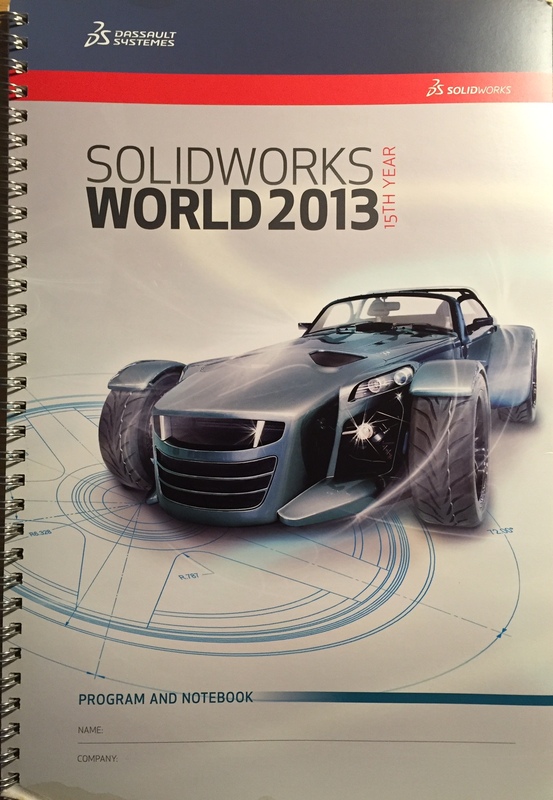 After getting home from SolidWorks World 2012, I really wanted to dig into the new Costing tool within SolidWorks. 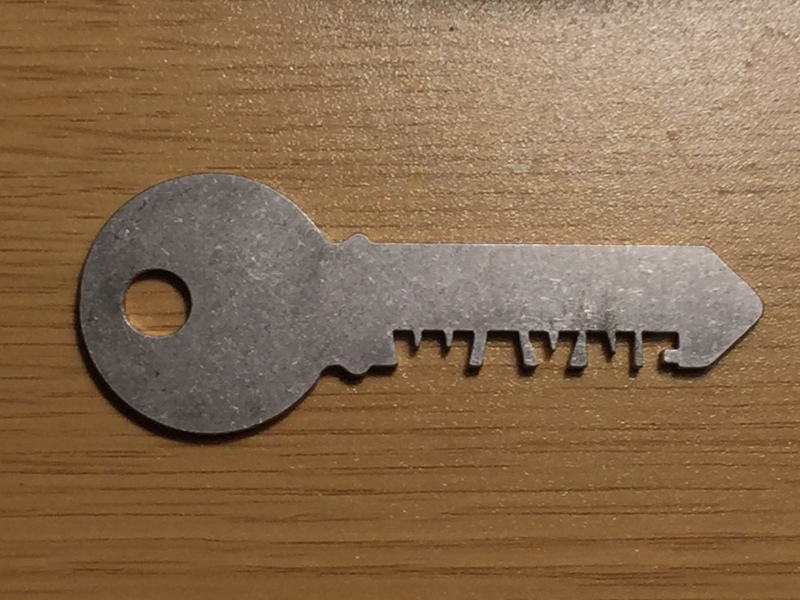 I dove in headfirst, and the more that I worked with it, the more I realized that this tool had a lot of potential. 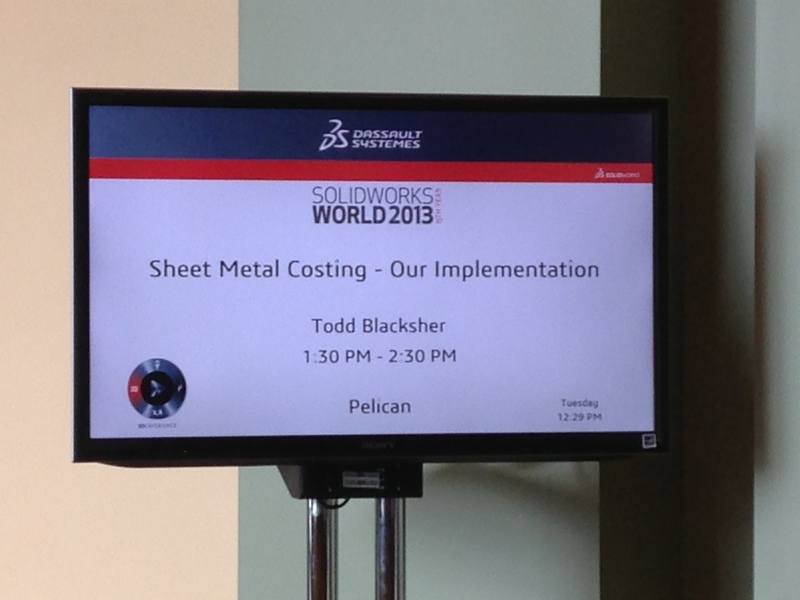 I became so enamored with Costing that I decided to submit a presentation for SolidWorks World 2013 in Orlando. It was accepted! I was finally going to be able to say that I have presented at World! I spent a considerable amount of time researching/testing/writing/re-writing/practicing my presentation. I used to work for a VAR, so presenting wasn’t a big deal (it used to be a majority of my job), but I wanted everything to be as “dialed-in” as possible. 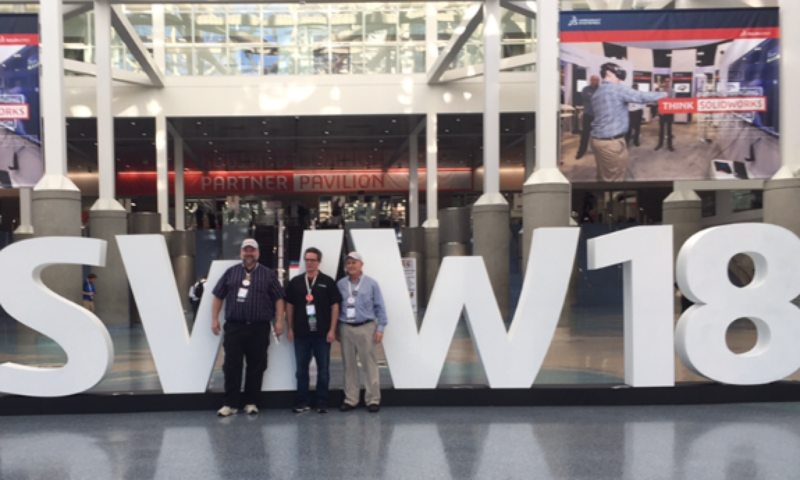 I knew that this would be a rough year at SolidWorks World without Wayne, but I heard that they were going to bring his sons to the conference and give him a well deserved tribute. I thought that it was fantastic that his sons would be able to meet and talk with so many of the people that were influenced by Wayne, and get to see how much everyone loved and missed him. 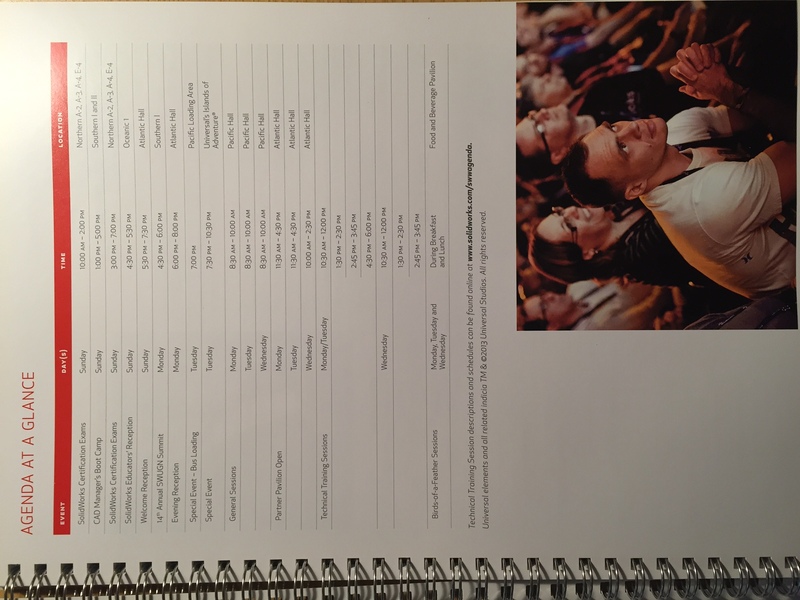 It was a little surprising to open up the program and see a picture of my wife and I. Art Thompson, the Technical Project Director for the Red Bull Stratos Jump was on hand to talk about the logistics of Felix Baumgartner’s record breaking skydive. I’ve jumped out of a plane at 13,500 feet – there is NO WAY I would want to jump out at 120,000 feet! 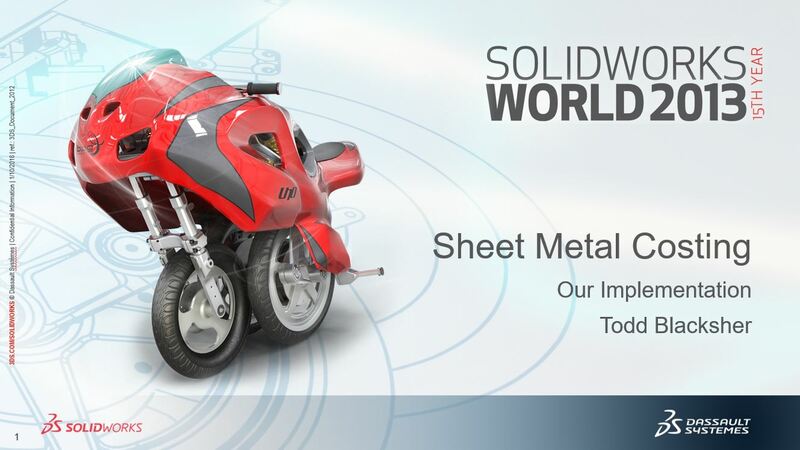 SolidWorks announced Mechanical Conceptual and my.solidworks.com. They were just starting to show the augmented reality for eDrawings – this allows you to effectively “place” your SolidWorks model “inside” your environment – amazing, just amazing. There was a robotic bird that they flew around the General Session that had everyone on their feet. While this was very cool, there was a big downside . . . This was on the day that I was going to present . . . My presentation was scheduled immediately after lunch, so I brought my laptop and all of my stuff with me to the General Session . . . Someone behind me kicked over a GIANT mug full of coffee into my backpack! I had no idea until we were getting ready to leave the General Session. I picked up my backpack and it was dripping with coffee. I pulled my laptop out of my backpack, and there was coffee pouring out of it! I skipped lunch, ran to the presenters room and tried to dry off my laptop as much as possible. I went all the way back to the hotel to finish cleaning it up and grab another backpack. (We were staying onsite, but we weren’t at the host hotel, so it was a boat ride AND a bus ride each way.) I went straight to my presentation room to get set up and see how everything worked. I started the presentation and nearly passed out when the first image loaded in small segments. Aside from a few slow loading slides, the presentation went off fairly well, and seemed to be well received. 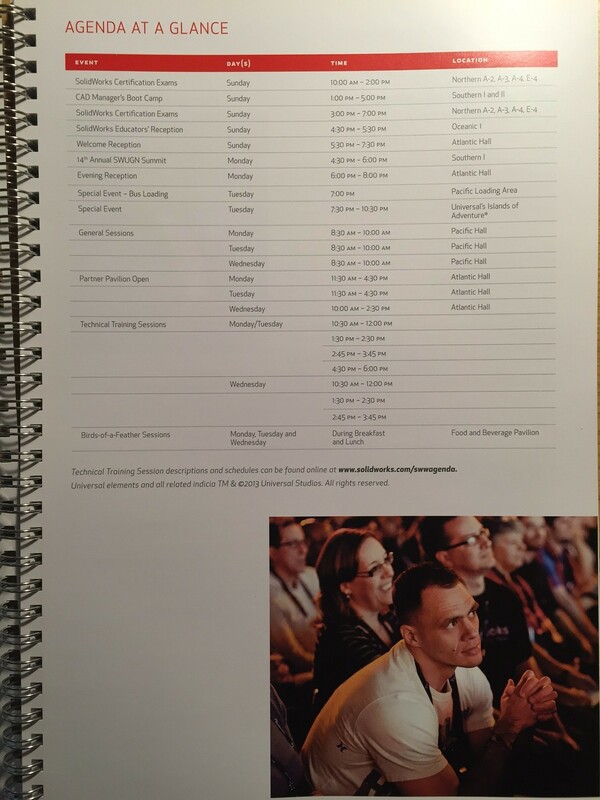 It was definitely cool to see my name on the monitor outside the room before the presentation. Still a little bummed that they no longer have “Presenter” ribbons, I really wanted one! 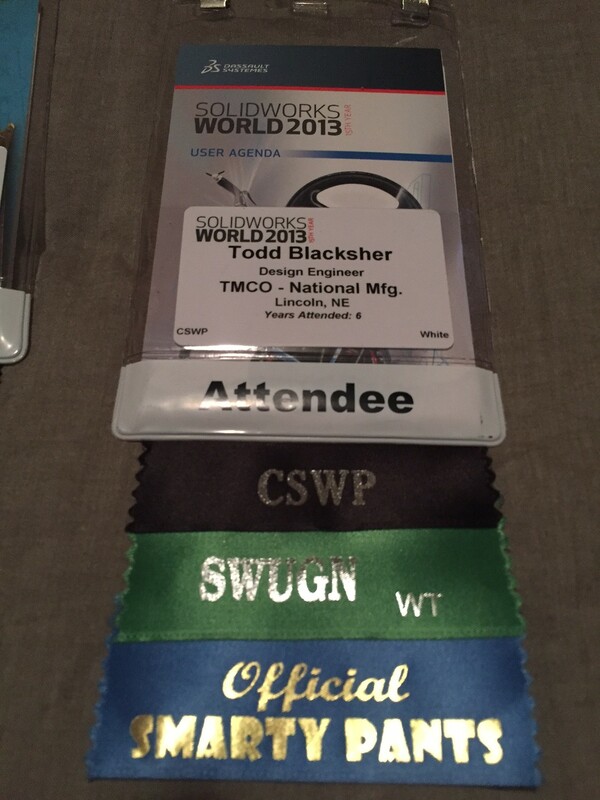 It was announced that SolidWorks World 2014 would be back in San Diego! After the conference, we decided to spend a few days at Disney with my wife’s family.